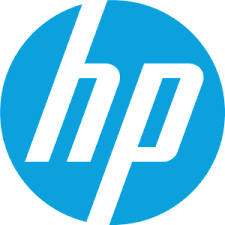 • CDC launches HP pilot program with the purchase of HP BioPrinters for four regional labs in New York, Minnesota, Tennessee, and Wisconsin. • HP BioPrinters, with inkjet printing technology, adapted for automated laboratory dispensing to help fight antimicrobial resistance. Today HP Inc. announced its participation in a pilot program run by the Centers for Disease Control and Prevention (CDC) that aims to accelerate the testing of new antibiotics designed to fight antimicrobial resistant bacteria. The pilot uses HP technology to “print” pharmaceutical samples. As part of the pilot, CDC will deploy new HP D300e Digital Dispenser BioPrinters to four regional labs in the Antibiotic Resistance (AR) Lab Network, to develop antimicrobial susceptibility test methods for new drugs. For the first time, regional labs will be able to conduct rapid susceptibility testing for health departments and hospitals nationwide. Antimicrobial resistance is an international public health issue. New antibiotics for resistant bacteria can help save lives, but hospitals often do not have access to antimicrobial susceptibility testing to know if the new drug might be effective. The HP printer helps to speed up testing availability at the local level by “printing” the gold standard test plates in a few minutes. When testing is not available, new drugs can be either overutilized, contributing to antimicrobial resistance, underutilized, not helping patients in need, or misutilized, which can lead to side effects or prolonged treatment. Testing through CDC will be implemented in the regional laboratories in the first quarter of FY19. CDC will prioritize testing for highly resistant bacteria, with pan-resistant bacteria being the top priority. HP will coordinate with CDC to evaluate the pilot in the regional laboratories of the AR Regional Lab Network, refine the system, and explore and support a larger rollout of inkjet printing technology in labs nationwide. To learn more, visit: http://www.hp.com/go/bioprint.